The High Speed Two (H2S) has been described as a game-changer and the greatest ever upgrade to Britain's railways, and without doubt, this United Kingdom’s high-speed rail project has been a hot topic. The H2S project aims to meet the United Kingdom’s high demand for travel by linking London, Birmingham, the East Midlands, Leeds, Sheffield and Manchester. Commuters would have the chance to travel with trains that run around 14 times per hour and run at speeds faster than any current operating railways in Europe. According to the Department for Transport, there will be almost 15,000 seats an hour on these 400m-long trains between London, Manchester, Birmingham, and Leeds which is three times the current capacity. After the arrival of high-speed rail in the United Kingdom in 2003 with the launch of the first part of the High Speed 1 rail network which spanned London and the Channel Tunnel. The proposal for a second high-speed line came up in 2009. By 2012, High Speed 2 (H2S) was announced by the Secretary of State for Transport to be executed in two phases. Phase 1 is expected to span London to the West Midlands while Phase 2 would run from the West Midlands to Leeds and Manchester with an estimated date of completion being 2026 and 2033 respectively. According to High-Speed Two ltd., the construction company in charge of the enormous project has estimated that major civil construction works will begin in the first quarter of 2019. What this means is that there can be no better time to cash in on the engineering and construction industry. Although the H2S project is predicted to support 15,000 jobs by 2020, there are already some positive economic pointers as to the development of the project. Over two thousand businesses have already been contracted on the H2S project, and over seven thousand roles are currently being supported by the project. This is only a fraction of the possibilities which abound as there are projections that the project will provide around thirty thousand jobs at the peak of the H2S construction. Experts such as geologists and architects will also benefit from the construction, considering that High-Speed Two Ltd. Plans to make the project inclusive by leveraging a wide array of skills as part of their strategy. Civil engineers particularly would be pivotal to this project, as their role plays an integral part in executing the project and there is an expected uptick in the benefits of the opportunities which the H2S project presents. Apart from the economic benefits that the H2S project promises, there are also some expected positive developmental impacts. One of such is the Old Oak Common in north-west London being refurbished into a 14-platform interchange station. Also, the northern cities will get better access to each other and the south of England. 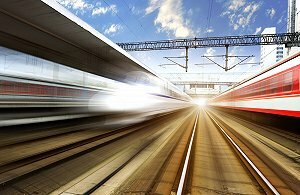 Upon its completion, HS2 will disrupt rail travel in the United Kingdom by providing better access routes between major cities and become a major catalyst for growth across the United Kingdom.